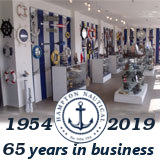 Set of 2- Whitewashed Cast Iron Anchor Book Ends 8"
Set of 2- Antique Seaworn Bronze Cast Iron Sailors Knot Book Ends 10"
This Set of 2- Whitewashed Cast Iron Anchor Book Ends 8" is the perfect addition for any nautical themed home. 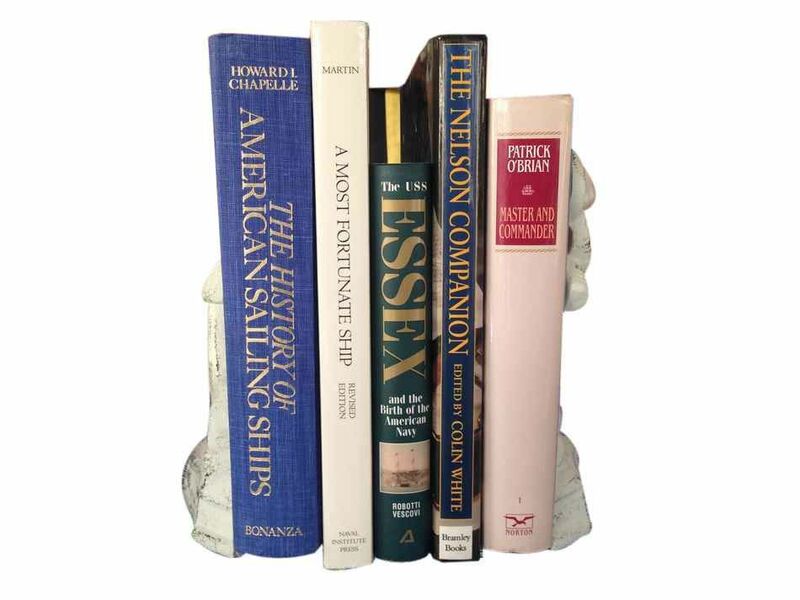 Crafted from cast iron, this heavy, decorative book end set holds your books and accents your personal library. 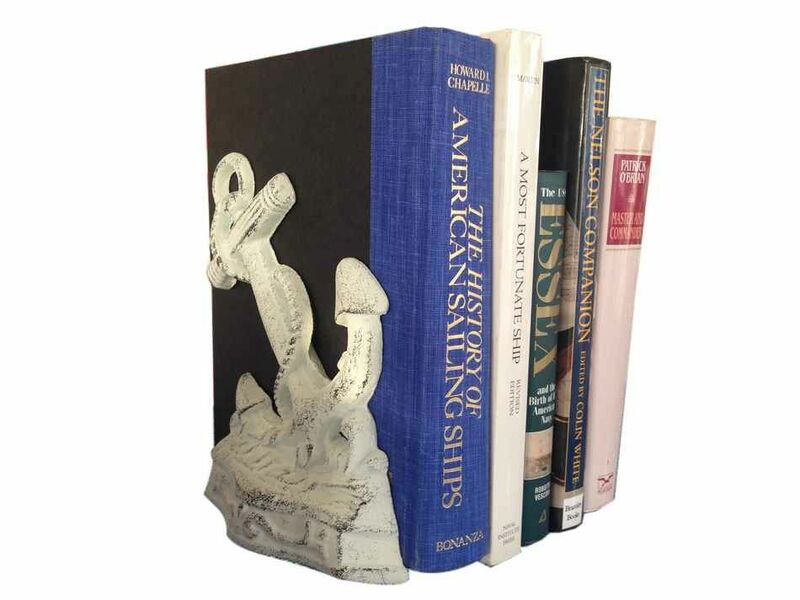 Display this rustic cast iron book end set to show those who visit your home your affinity for the nautical sea-faring lifestyle.